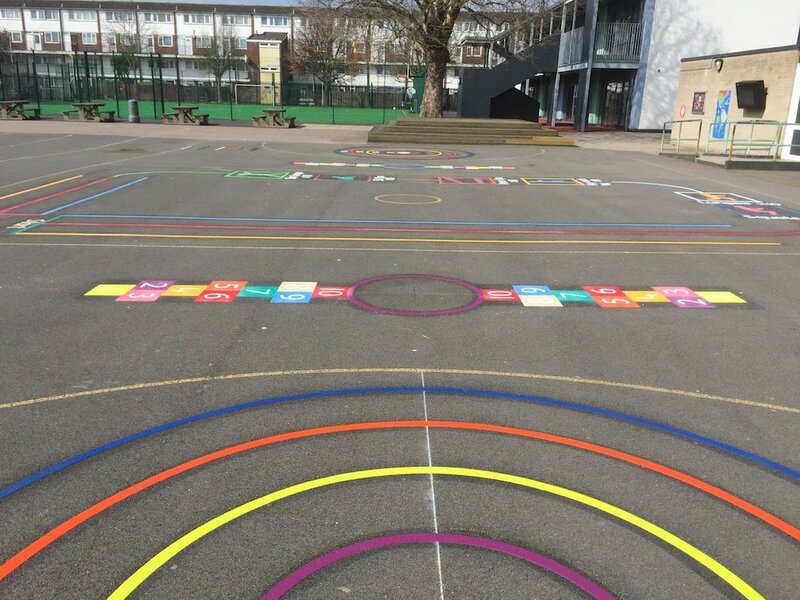 Our installation team drove South to Newham, East London to install a rage of playground markings at Avenue Primary School. 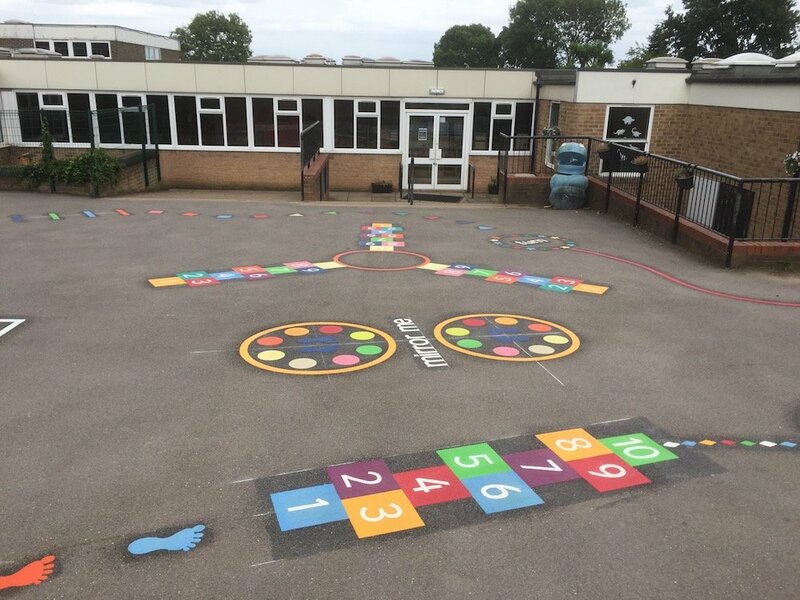 Our installation team drove south to London to install a wide variety of playground markings for Avenue Primary School. 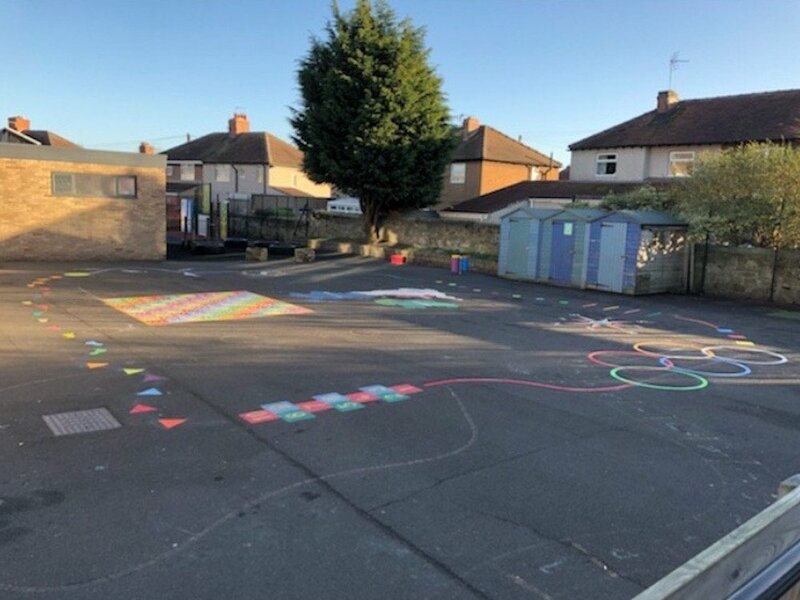 These markings consisted of a 2 Way Hopscotch, a Fitness Trail, 3 Sports Grids, Number Ladders, a 12 x Table Grid and a World Map with continents. 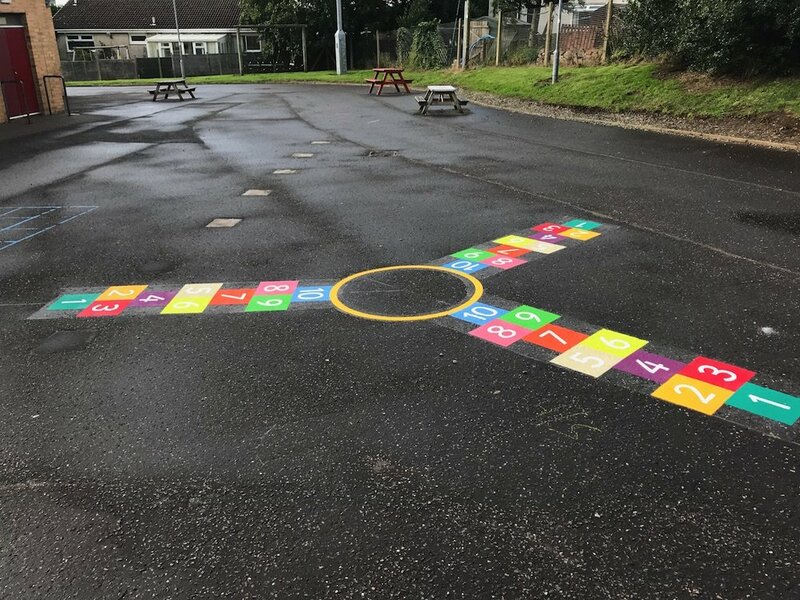 Firstly the team installed this 2 Way Hopscotch. 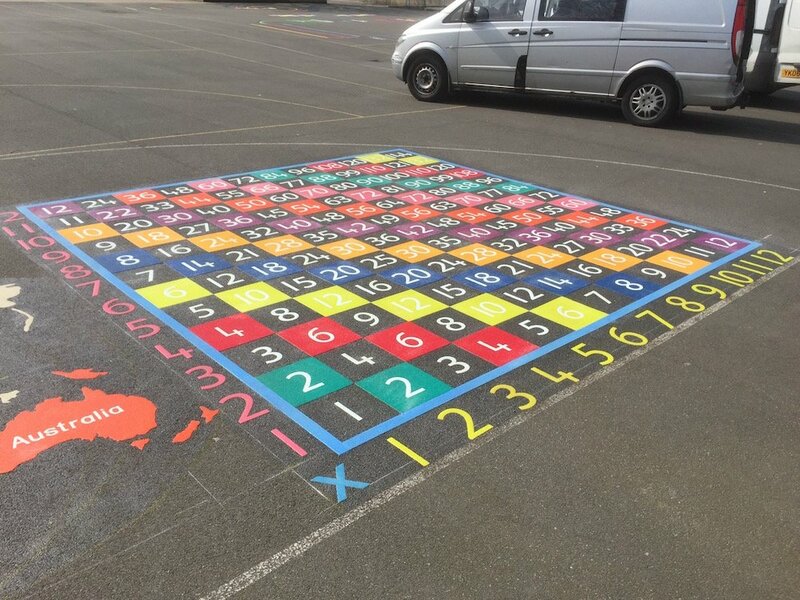 The 2 Way Hopscotch is a 2 player twist on our classic Hopscotch. 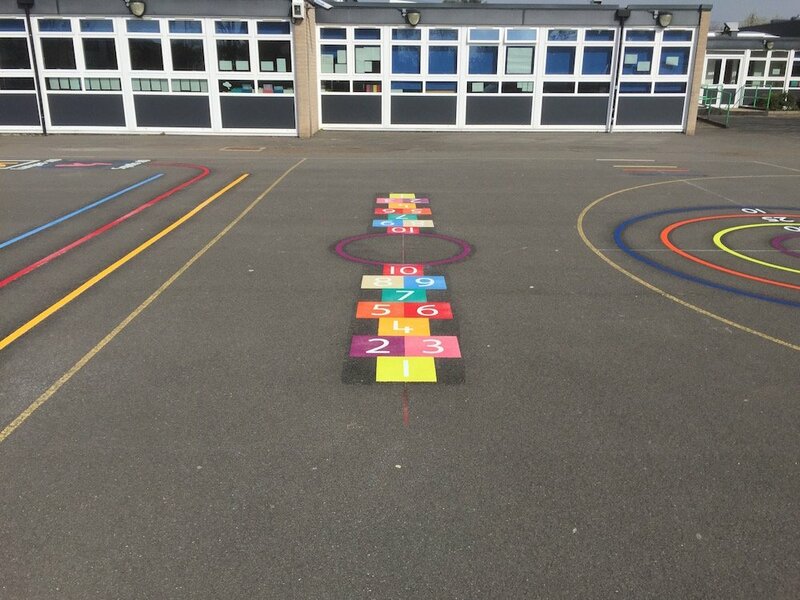 They look defined, bright and colourful and are a great addition to any play area. 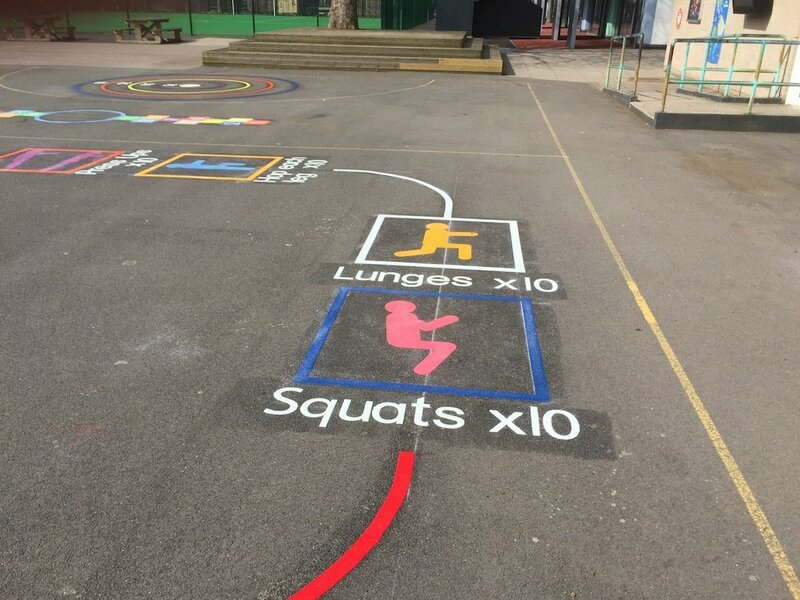 Next the team installed this Fitness Trail. 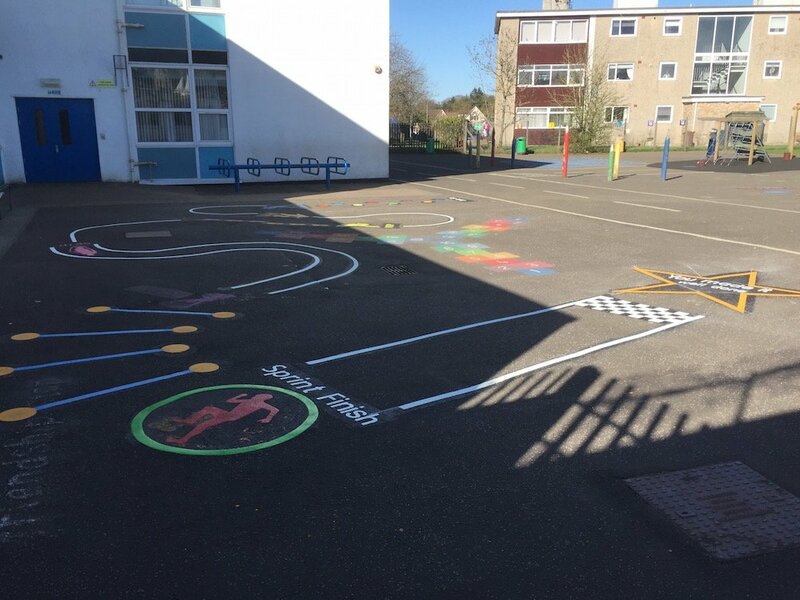 The Fitness Trail is a great tool for P.E teachers. Keeping children active, physically fit and healthy. 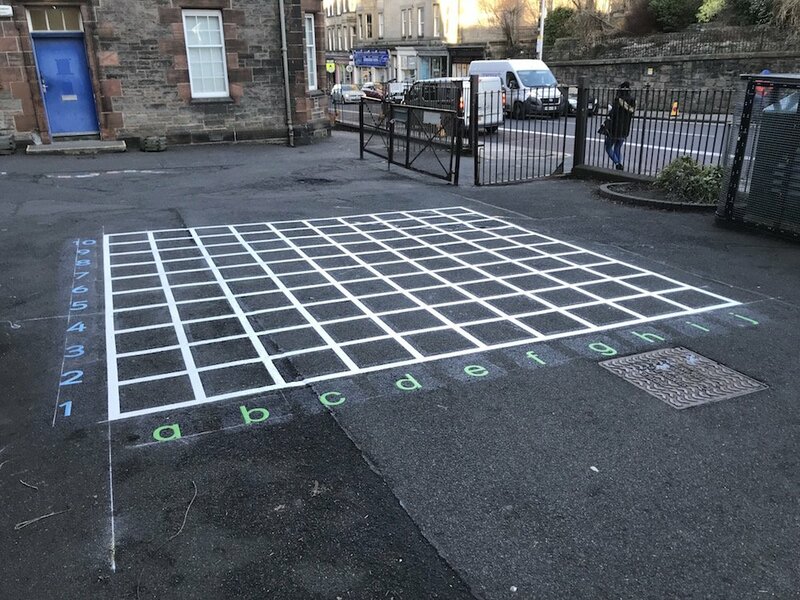 Next our team installed this 12 X Table Grid. 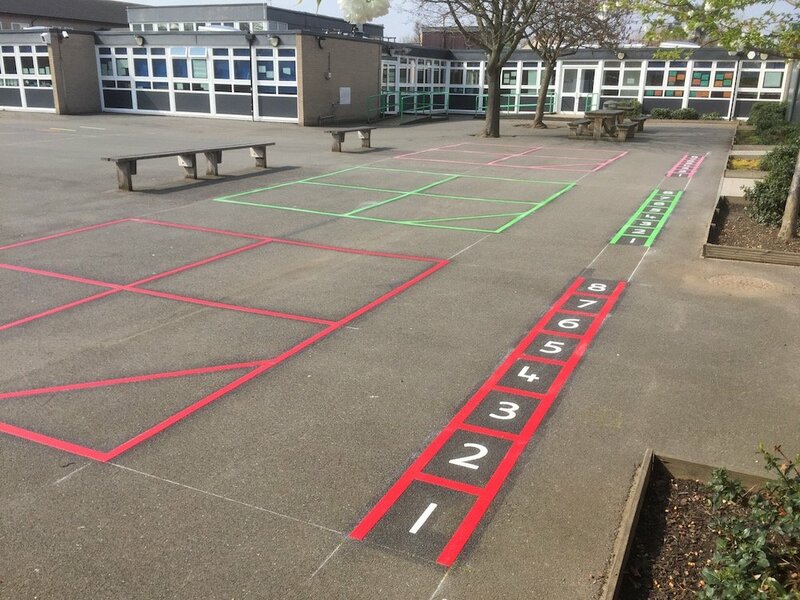 The 12 X Table Grid is a perfect teaching aid for KS3 students to learn and master the 12 x table. 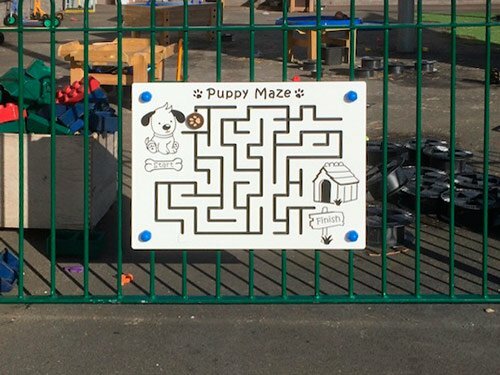 It tests mental multiplication and also helps children to fully grasp Co-ordinates. 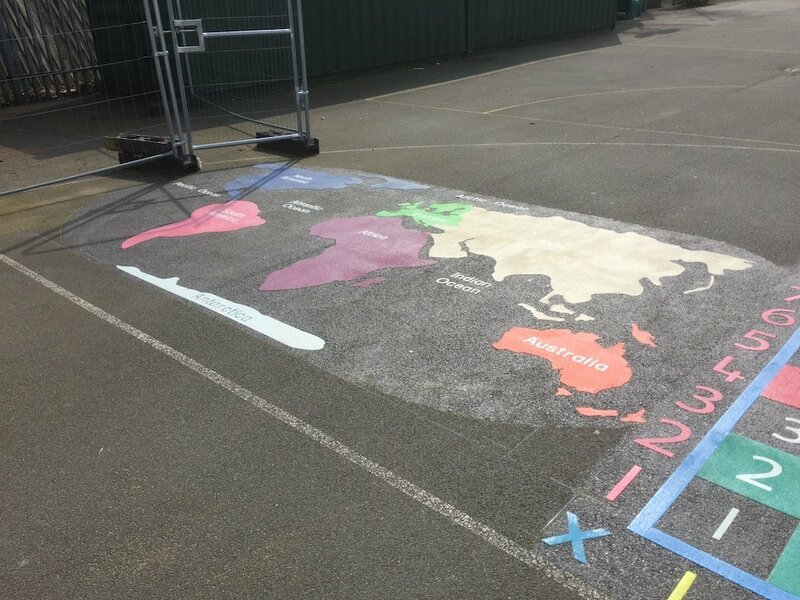 Then the team installed this World Map with continents. 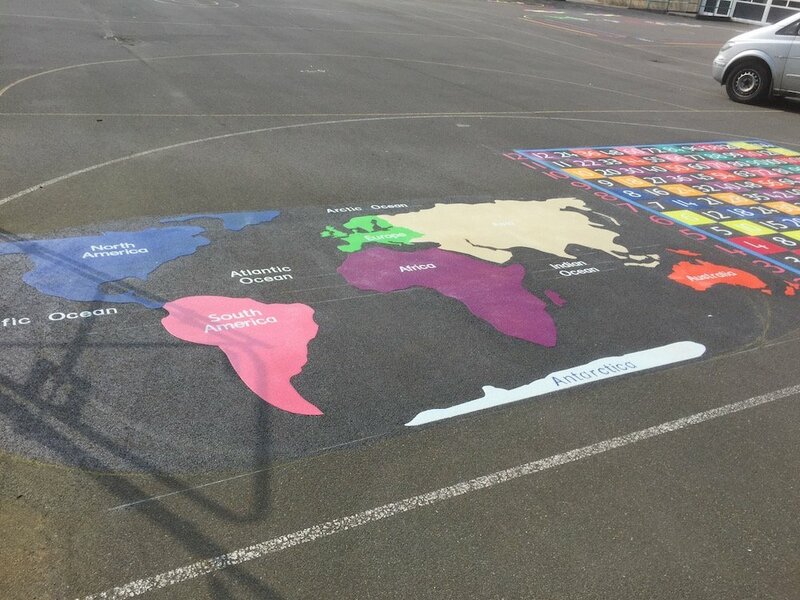 The World Map is ideal for children to learn and understand the different continents around the world. 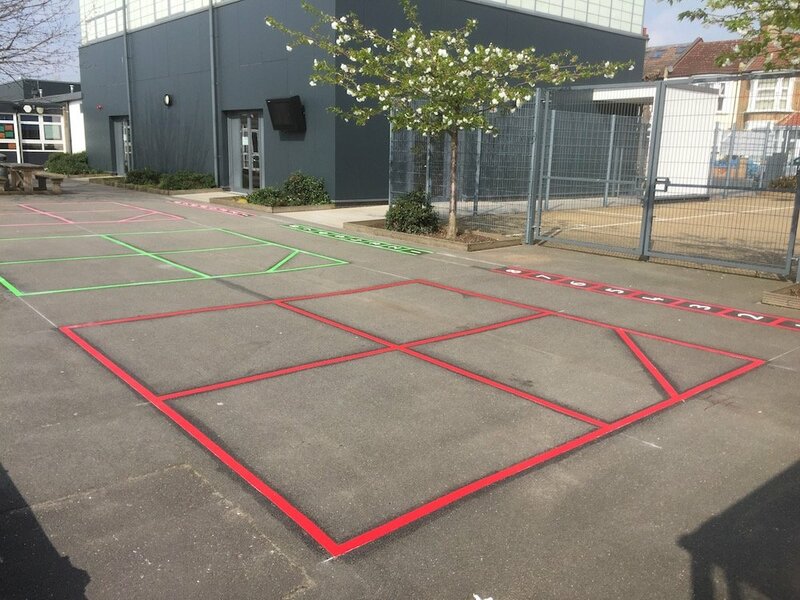 Lastly we installed these 3 Sports Grids, each with a corresponding number ladder in the matching colour. 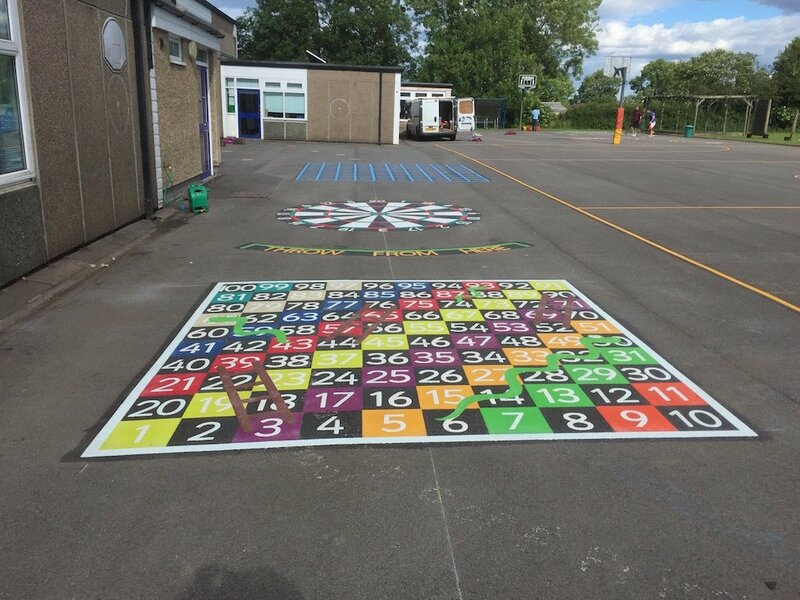 The Sports Grids have uses for P.E teachers.